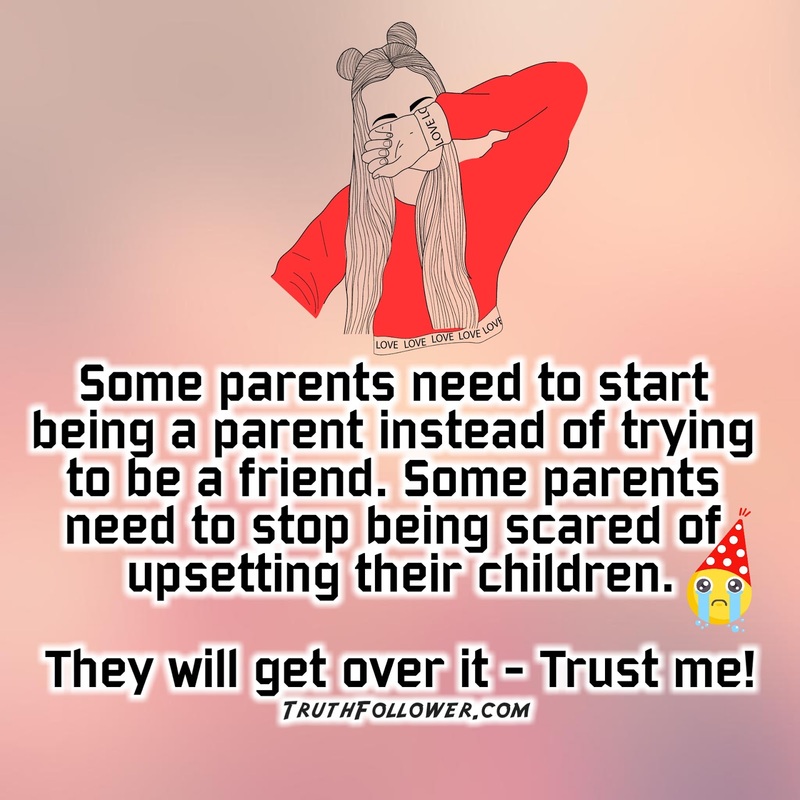 Some parents need to start being a parent instead of trying to be a friend. 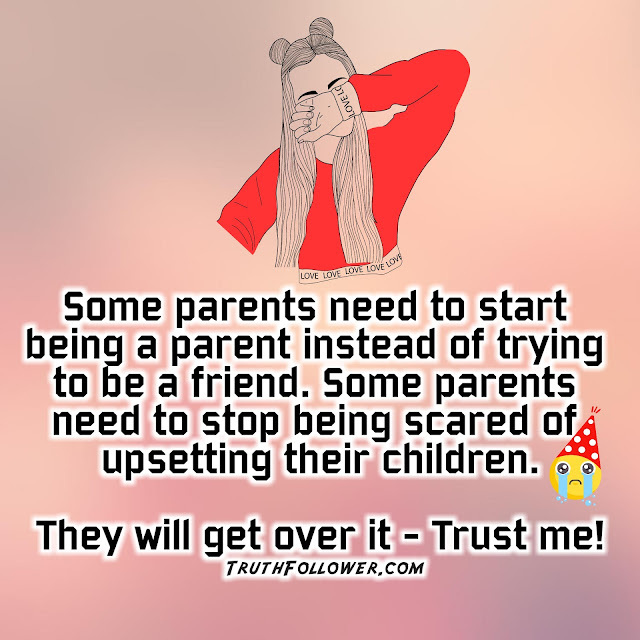 Some parents need to stop being scared of upsetting their children. They will get over it - Trust me! Becoming a parent is serious business - Good Parenting Tips picture/image is an Inspirational Stuff to Inspire and Motivate You. You can download pics by just clicking on the Images. Thanks for visiting Truth Follower an online place for huge collection of inspiring pictures, quotation, and Sayings Images. If you like Becoming a parent is serious business - Good Parenting Tips , Please Share with friends and family on Facebook, Twitter, and Pinterest.